The SMCC Project was initiated by the Gujarat Samaj of Toronto in 1985 to help, promote and preserve Gujarati and culture. To preserve our values and traditions for generations to come, SMCC provides facilities for education, religious worship, and social functions for all ages. Gladstone Consulting assisted SMCC in receiving almost $1,000,000 in grant funding. In 2011, Gladstone Consulting helped SMCC receive a $500,000 Trillium grant to build a 10,000 square foot addition to its 33,000 original structure. 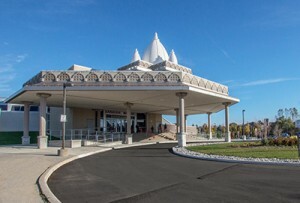 In 2014, Gladstone Consulting helped SMCC receive a $243,000 Trillium Grant to renovate a multi-function room and hire a property manager and administrator in order to expand programming available to seniors, youth groups and local community organizations at this popular community facility in Markham. Religious, educational, cultural and social activities are conducted at SMCC. All religious Festivals, according to the Panchang (Hindu lunar calendar), are celebrated at SMCC regularly. Classes are held to teach religion, music, culture and Yoga to students of all ages. SMCC’s Youth group conducts activities of interest to teenagers and young adults. An active Seniors’ Group meets socially as well to provide information on various subjects of interest to the seniors.